Historic Delafield, established in 1837, offers unique quaintness nestled in the hills of the Kettle Moraine. 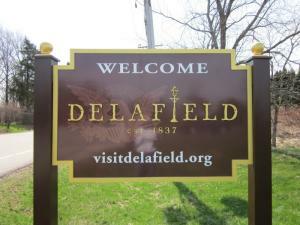 Surrounding Lake Nagawicka, Delafield is just 30 minutes west of Milwaukee adjacent to I-94. Our community offers historic sights, antique and specialty shopping, award-winning restaurants, lodging, and a variety of recreational activities year round. Charming Delafield offers two stimulating shopping districts: The Highway 83 interchange boasts a collection of department stores, a variety of specialty shops, an array of restaurants, and friendly accommodations for the overnight visitor. Just as friendly and inviting, the downtown hosts exceptional craftsmen, antique treasures, mouth-watering eateries, and a delightful array of unique shops. The City is host to community celebrations and festivals throughout the year. Come join the fun at the Delafield Block Party, Lake Country Women’s Club Art Fair, a Halloween Celebration in Downtown Delafield in the fall, and share in the holiday spirit at the annual Breakfast with the Reindeer event. Visitors can also visit Hawks Inn, St. John’s Northwestern Military Academy and Nashotah House. They still carry on their traditions and offer scheduled tours throughout the year. We also have many recreational and sporting activities available to everyone. Enjoy the bike and hiking trails surrounding the area. For a more restful activity, relax and enjoy a leisurely round of golf, fish on one of our area lakes, or unwind with the family at one of our beautiful parks. Participate in a unique family outing at the beautiful Olympic-sized Naga-Waukee Ice Arena open all year for family fun.